I hadn't been planning to get to the Batgirl Showcase until I finished the Legion volume, but there's been some kneejerk outrage over the cover, so I'd like to take a look at that. I realise it can mess up a perfectly good rant to complicate it with facts, but I'm mean like that. 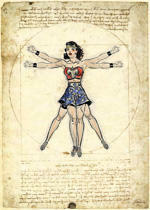 Showcase covers follow a standard format of a recoloured version of a cover from one of the comics in the collection. They do not include text on the image. Obviously the ideal image is one that prominently features the title character(s) in iconic pose. All the stories in this collection are either guest spots in another character's comic or backup strips from Detective Comics. The backup character rarely gets cover featured. 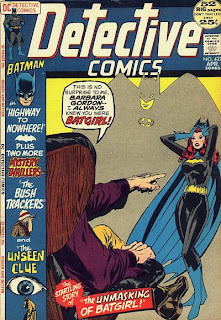 In fact Batgirl only appears on 6 covers of Detective comics and all but one are where she is appearing in Batman stories. Not only that but there are precious few full page images of Batgirl because space is maximised in her short backup feature and the splash page often contains three panels. On some episodes there is no splash at all, just a title strip at the top of the first page. So there aren't a whole lot of images to choose from. Let's look at the covers, shall we? Excellent cover but the text is heavily integrated into the composition, and it would look unbalanced without it. 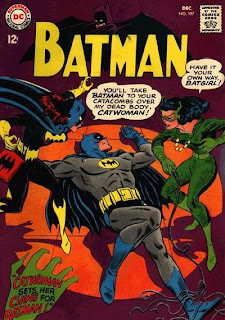 Here Batman is as prominently featured as Batgirl. It's far from iconic, and relies on the dialogue to make sense of what's going on. Again, it's not Batgirl specific or iconic, and relies on dialogue to explain the situation. Here Batgirl is far more prominent but again, take out the dialogue and it's incomprehensible. But we'll come back to this one later. This one would almost do. Batgirl is prominently displayed and the picture would work without the speech, but still it's as much a Batman image as a Batgirl one. 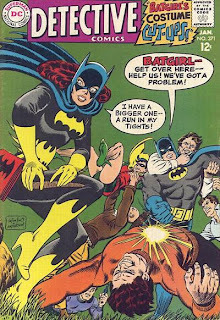 And finally we get to the only cover for a solo Batgirl story and it is once again reliant on dialogue. It's also too narrow because of the menu down the left hand side, but the main problem is that it's not a very good picture. 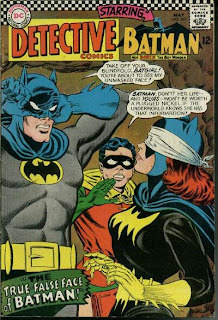 Even though Batman is the victim here and Batgirl the rescuer, the composition leaves no doubt who is the star of this show. 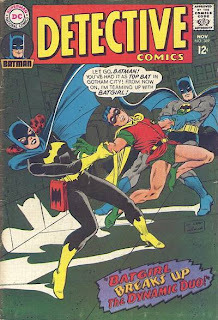 Again, this is not Batgirl's comic. ...is that they tend to want to be the hero. 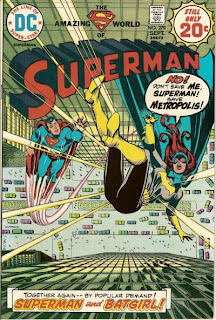 This is one of my all time favourite silver age covers, but it's not saying "this is a Batgirl comic". This one's not going to do it either. In fact there aren't any covers to comics in this collection that would suit a Showcase cover. But remember this one? It's almost the right sort of composition, but take out the dialogue and you lose the sense. But the story did have a full splash page. 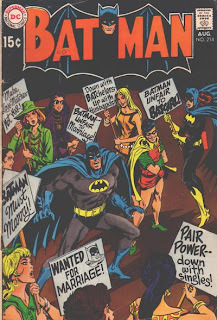 Here Batgirl is featured prominently, Batman and Robin appear, but are not the focus of the image, which is reasonable, given that they do appear in the volume, and it works without the dialogue. Only problem is that it makes Batgirl look stupid, appearing to be more interested in fixing her makeup than fighting crime. 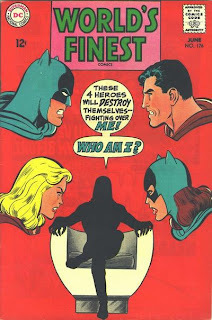 Of course there are vast numbers of silver age covers that feature the hero behaving in a bizarre or inappropriate way. 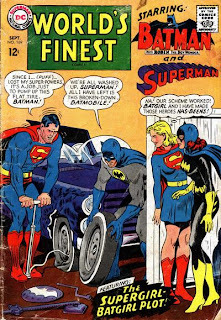 Batman wore the most ludicrous costumes and Superman was always thinking he was a cowboy or getting a big domed head. So how does it work in the context of the story? 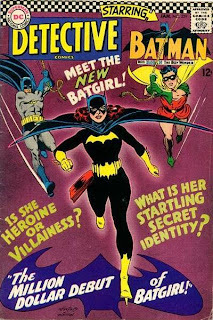 In fact the story is all about Batgirl believing that she is too concerned with her looks and making an effort to overcome her perceived fault, ultimately using it to her advantage by distracting the bad guys by showing a little leg, as is pictured on the cover. In fact the examples given of her distraction are first where her mask is knocked out of place and she pauses to straighten it, and secondly where mud is thrown in her face. In both cases her behaviour is quite reasonable as she is in danger of having her vision obscured, so it is possible to read it as Barbara over-reacting to a perceived fault and working to overcome it. This is a bit undermined by her letting out an uncharacteristic scream at seeing Batman in danger; she's never done this before, and it's not even extreme danger, so it's very contrived. But despite this, the story is a positive in that it's all about Batgirl taking control and working to not only overcome her faults but use them to her advantage. It is a bit cringeworthy, but if you can't accept that women were written clumsily in the 1960's then you won't be reading this volume anyway. 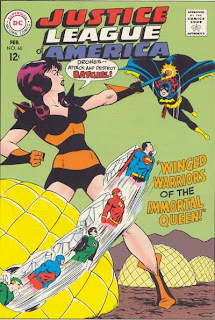 Is it better to try to depict a female character having issues different from male characters and do it poorly, or to have no characterisation at all and the only difference between male and female characters is the girl is the one in the skirt, as you'd find in Teen Titans or JLA from a similar period? 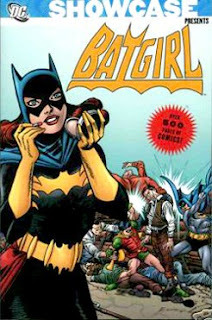 In context, the cover depicts a scene where Batgirl is playing on the "silly woman obsessed with her looks" image to defeat the villains, and as such is okay. 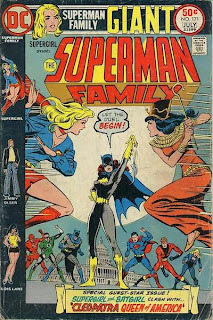 In a world where the default image of a female hero was the heroic stance associated with a male hero, this would work as the equivalent of Superman in a cowboy hat, or Batman turned into a baby; not iconic, but representative of the fun weirdness of the silver age. But the world is not like that, so it doesn't. And of course, they didn't use the cover image, they used the splash image. Which does not represent any incident in the story and in fact suggests the complete opposite of the actual theme. Yes, it is a bad image to use for the cover of the collection, and one that is liable to put off as many potential readers as if it was all T&A, but given the alternative options, what would you have picked? Thanks to the Grand Comics Database, from whom I steal many cover scans. I dunno, Mari. You make a lot of good points, and I think you're being very generous. Since they went to a splash page instead of a cover for the cover, I'd like to see the splashes for the other stories for a full comparison of options. I think that 'Tec 422 makes for a better cover than you allow (see my blog for a version). I grant that it's not terribly iconic, but then neither is the one that was used, eh? And my objection to the origin cover is not that it would be unbalanced without text (because I'm not certain it would be) but that it was recently re-used by Birds of Prey. I just think it would have been worth a little (a lot of) effort to find a different image. I had a quick scan through the volume and there is only one other splash page I would say was even worth considering. It's the splash to Batman #214. Hmm. Okay, I'll see if I can do a quick Photoshop of it. 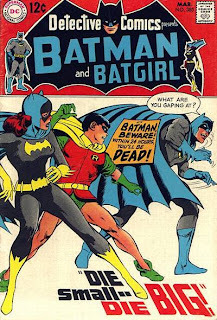 While I take your point about the limited options available, I do think the one with Batgirl and Batman playing tug-of-war with Robin is much nicer, and no more nonsensical without the text than the one they chose. However, I can see why they might have felt differently. "Excellent cover but the text is heavily integrated into the composition, and it would look unbalanced without it." So? That's what Photoshop is for. Remove the text, touch up the figures a little, then you can adjust their placement. Hey M, that's great that you've put so much thought into this. 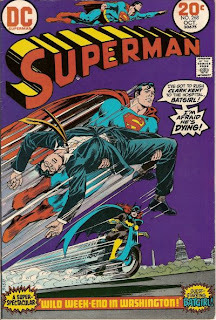 In my opinion, however, I think you wrote-off the first appearance cover too quickly and with too little background. Quite simply, that first-appearance cover was good enough for DC to comission Brian Bolland to do a version as a poster a few years back. Meaning they had art in-house if they really wanted, or if they wanted to keep the covers in the same 'style', clearly they weren't adverse to re-drawing that one in particular. Either way, that Bolland cover would've been a much, much better choice.